I have had a short break from writing – partly because all I would be saying is, ooh look, another patch of brown earth that I have dug and some small brown seeds I have sown…Not that thrilling. Fortunately Lou Nicholls, who blogs at loujnicholls.wordpress.com, has written a guest post for me. It’s the first ever guest post I’ve had and there will be a few more from other bloggers over the year. I’d love to know what you think. It’s not too late to sow tomatoes, either for greenhouse growing or outdoors. 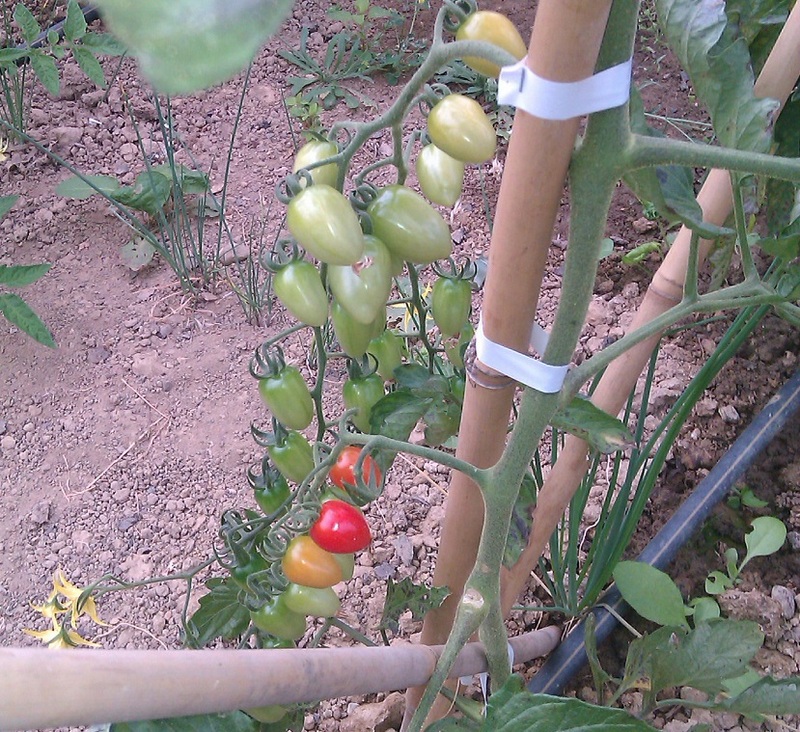 I know some people also like to sow them successionally, to try the widest variety of colours and flavours. So, over to Lou for her review of some Heritage Seed Library tomato trials she undertook at Sissinghurst. 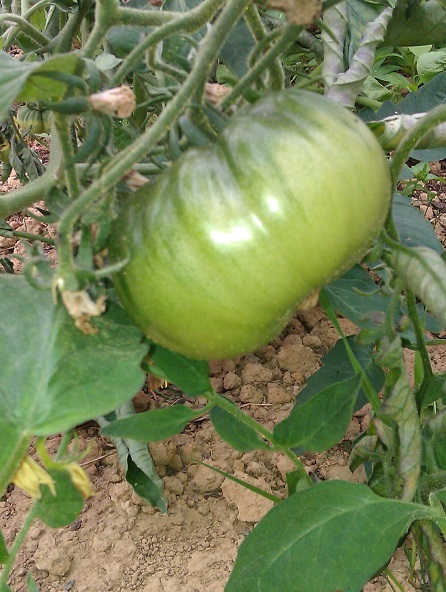 One of my interests has been organic gardening, specifically organic vegetable gardening. For this you can blame Garden Organic, founded in 1954 by Lawrence Hills, a pioneer in natural solutions at a time when people were being encouraged to spray anything that moved. When I joined as an outside contractor, growing plants for their Chelsea show gardens, I very quickly realised that theirs was an ethos I truly believed in. I could see the results on a daily basis. I then joined the team to run what was their flagship garden, The Vegetable Kingdom. To this day I can vividly remember the joy and pride this filled me with and still does. A large area of the Vegetable Kingdom was dedicated to growing varieties for the Heritage Seed Library which is based at Ryton. This incredible venture was a repository for rare genes long before the Millenium Seed Bank and other various gene-saving ventures around the world, but what exactly is it? Now I’m not an expert by any means of all the rules and regulations governing the sale of seeds in the UK (and around the world), but I do know the process to get a particular variety registered for sale is long and convoluted. Seed companies spend a lot of money getting varieties ready for commercial sale. Sadly due to fashion, fads and sometimes the advancements in breeding, old varieties can be lost forever and with them the vital genes which are so essential for future breeding. The Heritage Seed Library are the guardians of that genepool! For more information on their work find them here…Heritage Seed Library. There are some very unusual varieties in HSL’s seed bank and some are incredibly tasty, yes tasty! For the purposes of this post I’m going to concentrate on their tomato collection, some of which I trialled whilst working at Sissinghurst Castle. Tomatoes are a great crop for those of us who haven’t got the room to dedicate an entire polytunnel/glasshouse to just one variety. Most are self-pollinating (i.e. are pollinated by their own pollen prior to the flower opening) which means that they generally come true from seed. There are always exceptions to this rule (for example if a plant is an F1) but as I understand it, if the pistil isn’t visible the variety is self-pollinated. Most modern varieties have a retracted style which doesn’t allow insects access to it but some older varieties, often easily identified by their leaves which are more potato like in appearance, have the style present outside the flower. These can be subject to cross pollination but if you would like to become a seed guardian the HSL will explain this to you in greater detail and pick suitable varieties for you to grow. 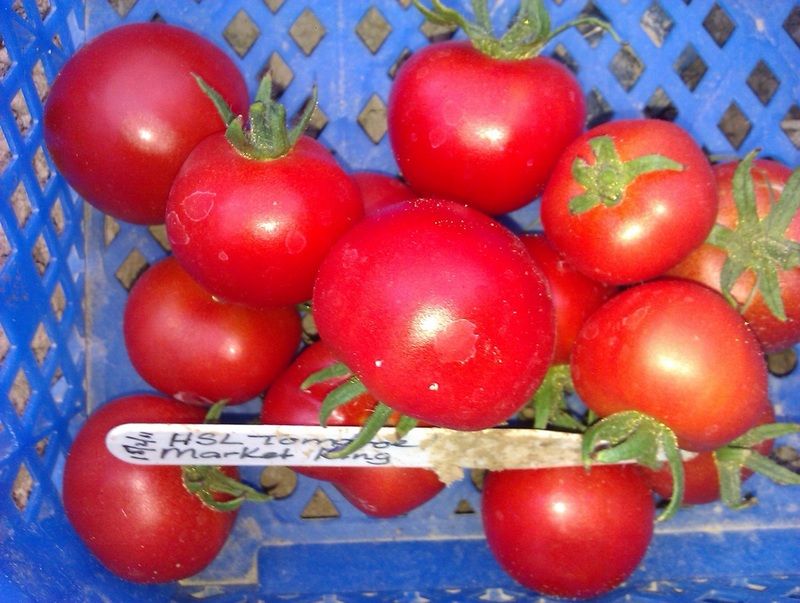 Whilst working at Sissinghurst we tried an experiment of growing HSL varieties for our onsite restaurant, with mixed sucess, sadly not all of the tomatoes were what we were wanting for a salad but it was a valuable interesting experiment nonetheless. We had a broad range of varieties from beefsteak to plum to gorgeous tiny, little, perfect to pop in your mouth tomatoes as they were destined to end up in our onsite restuarant. I would like to say at this point that they weren’t mollycoddled, from the start they were grown hard. Pottted on only once before being planted out in unimproved, wealden clay they were absolutely starving. This was an incredible testament to their hardiness and resiliance. Out of all the varieties grown, at the point of planting out Green Zebra was suffering the most – both from the drop in temperature on changing from the glasshouse to the polytunnel and from lack of nutrients. Planting out occured on the 5th May and although they were all treated exactly the same, there was a marked difference between the varieties including whether they were flowering …or not. Once in the ground though all varieties were quick to catch up…as you can see in the photos below. But what was the fruit like? Here’s where I make a massive admission, I don’t actually like tomatoes! True story. Can’t stand them except as a paste on pizza! So I had to rely on feedback from our volunteers who tested them for me. 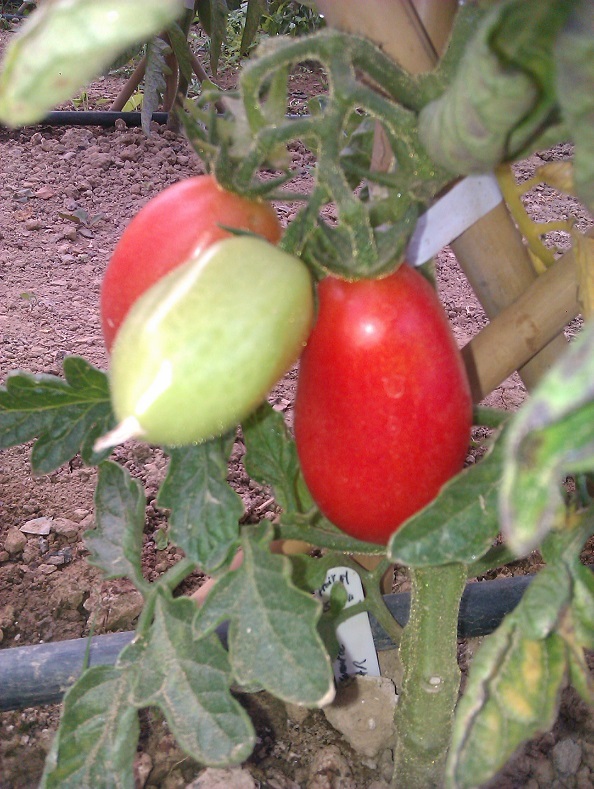 A lovely plum tomato perfect for cooking with, didn’t produce a huge amount of tomatoes so 2 or 3 plants would be enough for most households needs. This one was a real surprise! When sowing I hadn’t realised it was a beefsteak, it grew and grew and grew, then grew some more! Once it had reached the size of a small pumpkin it started to colour up. Sadly it didn’t produce enough for our restaurant to use. As we only had one plant they were given to our volunteers to try out at home. Reports came back very favourable. A tasty and pretty beautiful beast and the flowers were amazingly ornate! 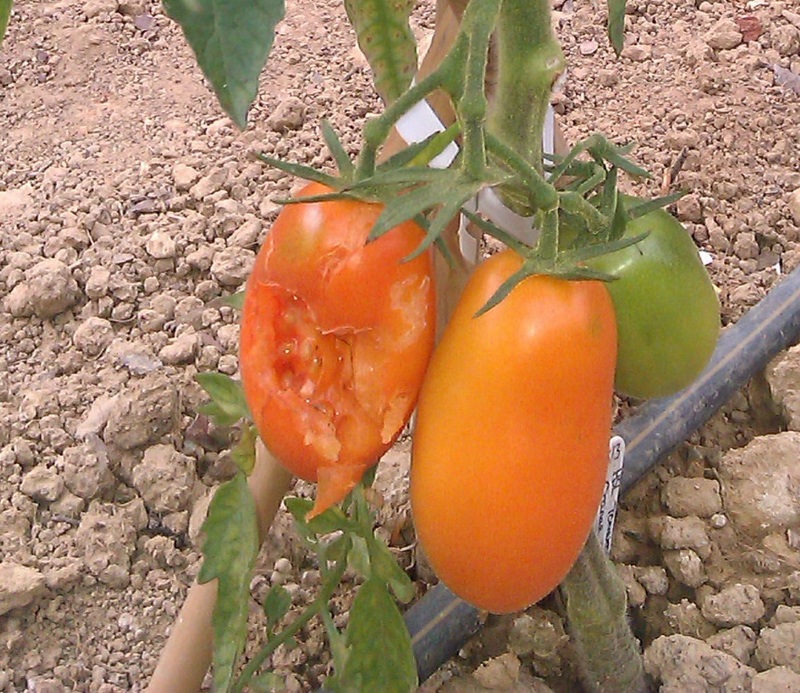 Sadly I can’t find a picture of this tomato when it started to colour up, as it is ‘flamed’. A proper dark red tomato colour on top with an orangey bottom. Looks like a muscle car with a 70’s paint job! It was a good strong grower but needed a longer season than some of the others. This is an ex-commercial variety, which used to be a supermarket favourite. You can see why, it produces a good sized fruit with a nice taste. It has been superseeded (see what I did there!) 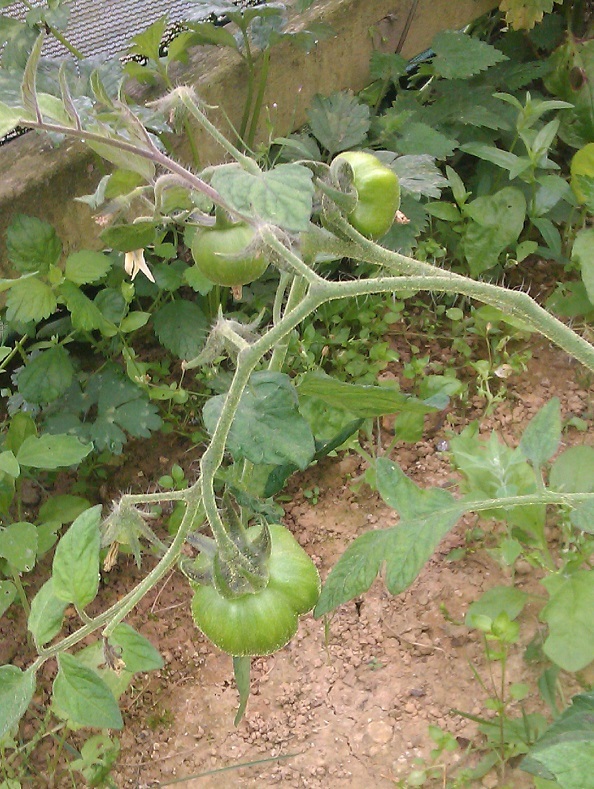 in recent years by more disease-resistant varieties, heavier croppers & more in vogue sizes but is still a good tomato for a domestic situation. Despite its amusing name it failed to be so much of a banana and more of a plum. More prolific early on than Porter but by the end of the season had evened out. This was one of our volunteers’ least favourite in the taste test, reportedly being a bit dry but it may be fine cooked into a sauce. As you can see from the picture below they were also popular with some mammal, possibly a mouse. Given their size I think this constitutes a feast! This was by far and away the most popular in the taste test, which was fortunate as it’s amazingly prolific! The plants themselves are rampant too! They very quickly outgrew their supports and, despite regular removal of sideshoots, were absolutely determined to take over the world! 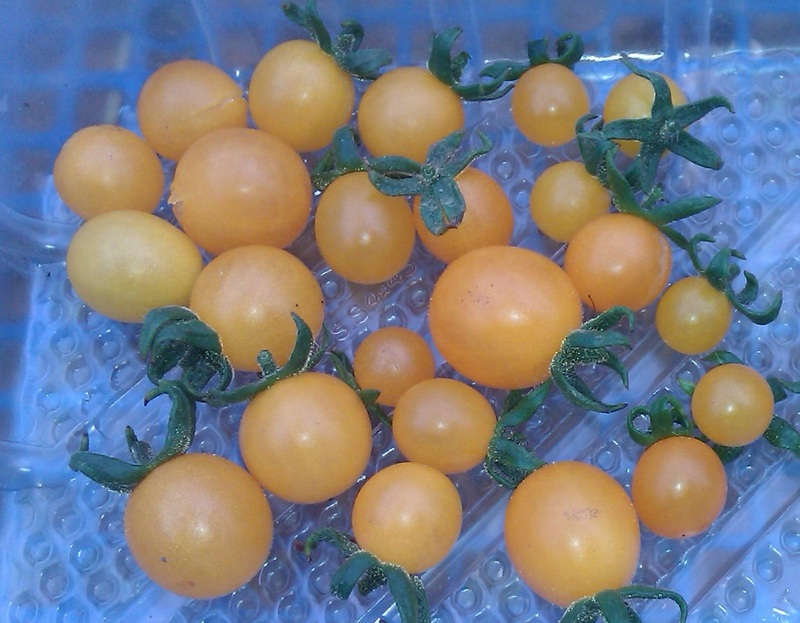 The tomatoes themselves are tiny little yellow jobs with a slightly acidic bite, lovely in a salad. 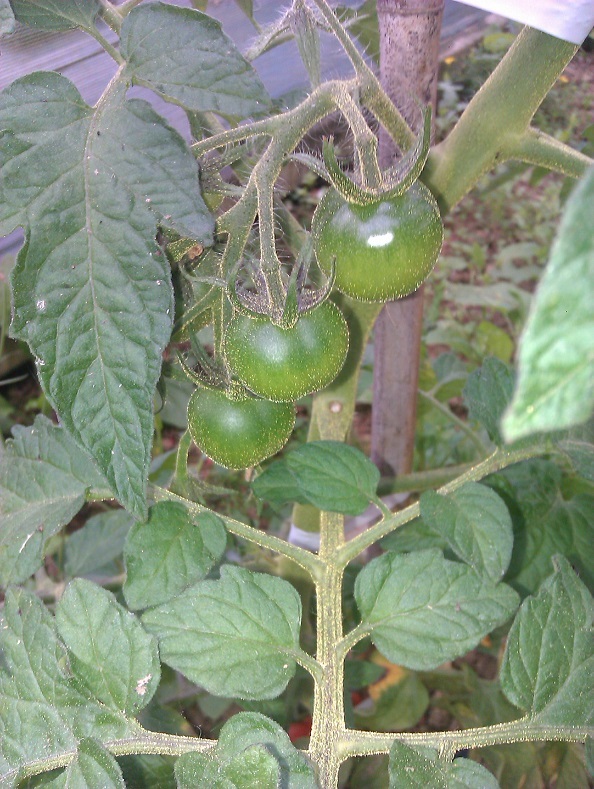 Alongside Broad Ripple this was, as a salad tomato, a very popular one amongst the volunteers. Apparently very sweet and appealing to look at. I do wish we’d had more than one plant of this variety but they are pretty prolific even so. I hope that’s given you some food for thought – either for this year’s varieties or next season’s. Personally I’ll be looking out for Ararat Flamed, it sounds wonderful. If you’d like to read more from Lou, she blogs at loujnicholls.wordpress.com and can often be found on twitter via @loujnicholls.